Georgian elections have become more transparent and usually mark a regular transition of power, as noted by several international observers. In 2018, Prime Minister Georgi Kvirikashvili resigned from his post after waves of protests in the country. His successor Mamuka Bakhtadze, a former Minister of Finance, and a new cabinet were approved by the parliament shortly after. Bakhtadze is the fourth Prime Minister of the ruling pro-European Georgian Dream party since it came to power in 2012. Since the presidential elections of 2013, Georgian Dream has been in charge of both the presidency and the government and has held a majority in parliament. In the 2016 parliamentary elections the coalition between Georgian Dream and Democratic Georgia gained total victory again. Support of a pro-European policy and integration into the West are popular among parliamentarians and civic society. Top goals of Georgia are memberships in NATO and EU. The country’s problems and voter’s concerns circulate around unemployment, human rights and territorial integrity. The latter originates from a conflict with the breakaway regions Abkhazia and South Ossetia and a violent dispute between Georgia and Russia over South Ossetia in 2008. Want to get notified by mail when Georgia gets updated? 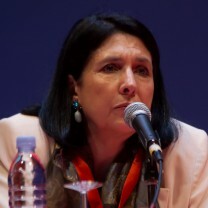 Salome Zurabishvili, born on 18 March 1952 in a Georgian migrant family in Paris, was elected as the first female President of Georgia with 59.52% of the votes in November 2018. Zurabishvili grew up in France and spent most of her career in the French diplomatic service before joining Georgian politics. She moved to Georgia as the French ambassador in [datum], but in 2004, she was named Minister of Foreign Affairs in Georgia under former President Mikheil Saakashvili. She later fell out with the president, and in 2006 Zurabishvili established a new party, ‘Georgia’s way’. But the party was not able to compete with the existing parties and in 2007 it became part of the United Opposition alliance. In 2010 she announced her withdrawal from the leadership of Georgia’s way after disappointing results in the parliamentary elections and she quit politics altogether. In 2013 Zurabishvili already tried to take part in the Presidential elections, but her participation was rejected by the Central Election Commission due to her dual citizenship. In 2016 Zurabishvili was elected member of the parliament as an independent candidate, but her participation was supported by the ruling Georgian Dream. Her voting record and public statements were in line with Georgian Dream. In 2018 she announced her run for president again, as an independent candidate, backed by Georgian Dream, which had decided to not field its own candidate so as not to dominate all power positions in the country. Salome Zurabishvili is not only the first female President, but also the first President with a migration background. 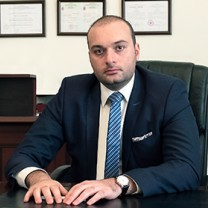 Mamuka Bakhtadze, born June 9 1982, succeeded Georgi Kvirikashvili as Prime Minister after the latter stepped down following a wave of protests in mid-2018. Bakhtadze was the former Minister of Finance in Kvirikashvili’s cabinet since 2017. Before his appointment as minister, he worked as CEO of the Georgian Railway company and had several other high level executive positions in the private sector. During his time at the Georgian Railway Company, Bakhtadze successfully lobbied for the Chinese One Belt One Road initiative in Georgia. Bakhtadze holds a degree in business economics from Lomonosov Moscow State University. A priority spelled out by then president Mikhail Saakashvili after his election in 2004, was trying to bring back the breakaway regions of Abkhazia and South Ossetia under Georgian authority. He quickly established authority in Adjara and shifted attention towards the separatist regions of South Ossetia and Abkhazia. This led to sharp tensions, among others with Russia, already not too pleased with Georgian aspirations to join international organizations like NATO and the EU since the 2003 Rose Revolution brought pro-Western Saakashvili to power. In August 2008 tensions between Russia and Georgia started escalating. An incident of a Russian spy plane shot down over Georgian territory resulted in a brief full scale war. The initial international response gravely condemned Russia for its actions and demanded withdrawal from Georgia. Specifically, the US started lobbying intensively for a sped-up Georgian accession to the NATO; something that European countries were somewhat divided in, even if equally condemning Russia. As time went by and investigations were launched, however, more and more reprimands started to appear towards the Georgian side as well as the Russian side. In October/November 2008 an independent international investigation group was created to look into the August events, headed by Heidi Tagliavini, a Swiss diplomat who served as UN Secretary General's special representative to Georgia from 2002 to 2006. The report eventually put some of the blame on both sides. Georgia is seen as one of the frontrunners in the region when it comes to democracy and human rights. The country scores relatively well on relevant international indexes, such as Freedom House, which describes it as ‘partly free’. It further has a lively and vocal civil society, an active opposition and political plurality, which often results in harsh political confrontations and a high level of polarisation. Since 2012 the Georgian Dream coalition is in power with, currently, a constitutional majority in parliament. While doing relatively well in the areas of democratisation and human rights, there are still some concerns, especially regarding the status of the opposition. Opposition party United National Movement has claimed that its prominent members are subjected to politically motivated investigations and trials, with its founder Mikhail Saakashvili unable to formally lead the party having lost his Georgian citizenship in 2015, after gaining the Ukrainian citizenship, and unable to return to Georgia as he is wanted by Georgian authorities. There are also some concerns surrounding the role of Georgian Dream founder and former PM Bidzina Ivanishvili: there are allegations that he still wields quite some power behind the scenes while not having any formal (political) position. Informal actors having a big influence on political choices continues to be a challenge for Georgia. Additionally, critics say the judicial branch does not work independently from the government and the parliament, whose interests often affect the judges’ decisions. Georgia is eager to continue improving its ties with the West by joining EU and NATO. It has signed and ratified the EU Association Agreement (which includes the long-expected visa-free travel possibilities to most EU member states) and has strived for NATO membership for some time, but without being very successful. While there are no legal obstacles to women, Georgian politics remains dominated by men. Former parliamentary speaker Nino Burjanadze was previously the woman holding the highest political function, but she left the then ruling National Movement shortly before the parliamentary elections of 2008. Women remain underrepresented in politics, although there have been some improvements. Currently there are 23 female MPs, more than the 17 female representatives in the parliament before. On a local level, politics are more male dominated. Parties hold the opinion, that they would like to nominate more female candidates, but the problem is rather, that there are not enough women who actually want to take part. A career in politics is often seen as something not ‘feminine’ in Georgian society, mainly because the political scene is often described as “rough-edged” and influenced by a “macho culture”. Moreover, many women leave university when they marry or get pregnant and exchange their education for family. National minorities enjoy full (political) rights under the constitution, and make up 16.2 percent of Georgia’s population. The two largest national minorities in the country are the Azeri and the Armenians. Besides that, a variety of smaller groups live within the state borders. Due to the fact that minorities often do not speak Georgian, their level of political participation is relatively low. However, especially in the run-up to the latest presidential election, more information in Armenian, Azeri, Ossetian and Russian was provided. There are no ethnic political parties, although several parties have included members of national minorities in lists and as majoritarian candidates, nominating them in districts where minorities form a substantial part of the population. On 8 August 2008, Georgian troops entered South Ossetia as, what the Georgian authorities would later claim, a response to Russian provocation. However, the Russian military response was swift. As a result, the Georgian military was thrown back out of South Ossetia, after which the Russian side proceeded to enter Georgia proper. The international community demanded that Russia withdraw its forces from Georgian territory. In a unilateral action the Russian Federation recognized South Ossetia and Abkhazia as independent states and started diplomatic relations with the two as early as October 2008. Georgia is a democratic republic, headed by President Giorgi Margvelashvili, who was elected in 2013. The parliament (the ‘Sakartvelos Parlament'i’) consists of 150 members, elected in a mixed electoral system consisting of 84 constituencies. 77 members are elected based on party lists. The remaining 73 single-mandate majoritarian constituencies are elected directly in voting districts in a first-past-the-post-system. All members are elected to four-year terms. After the peaceful Rose Revolution of November 2003 and the installation of Mikhail Saakashvili in January 2004, the outgoing parliament adopted on 5 February 2004 far-reaching changes to the constitution, which increased the power of the executive. As a result, the President has the power to dissolve the parliament, while he or she can stay in government even when the parliament has expressed its lack of confidence. Presidential powers were also increased in other areas, including the judiciary. Only with the constitutional amendments of 2010, the President decided that these powers were transferred back to the parliament after the presidential elections of October 2013. The new parliament was relocated from the capital of Tbilisi to the country's second largest city of Kutaisi after the parliamentary elections of 2012. In the October 2016 parliamentary elections, the ruling Georgian Dream-Democratic Georgia (GDDG) party gained some 48.67 percent of the votes in the party-list contest over 77 parliamentary seats, with the main opposition party United National Movement (UNM) coming in second with 27.11 percent. Voter turnout was 51.63 percent. The electoral bloc Alliance of Patriots came in third with 5.01 percent. Other parties did not manage to clear the electoral threshold of 5 percent. The remaining 73 seats were contested in single-mandate constituencies. 50 of them had to be conducted through a second round of voting on 30 October, because no candidate gained more than 50 percent of the votes in the first round. In the other 23 districts GDDG-related candidates won the first round. In the run-off GDDG candidates won in 49 districts and gained a constitutional 116-seat majority required to change the constitution. Ignacio Sanchez Amor, the special coordinator and leader of the OSCE short-term observer mission, called the elections "strongly competitive and well-run" in a first reaction, saying they "offered an opportunity for voters to make informed choices about their options in a pluralistic but polarized media environment". The later published report stated that the elections were “well-administered and fundamental freedoms were generally respected”. However, the atmosphere during the campaign was accompanied by some incidents of violence. The media coverage was categorized as pluralistic, but sometimes lacking in balance between ruling and opposition parties. Furthermore, problems during the voting procedure were noticed, which increased tensions between the candidates. Paolo Alli, head of the NATO Parliamentary Assembly also noted that "Georgia has reaffirmed its status as the leader of democratic transformation in this region. He further added that "the conduct of this election is greatly encouraging for all those who support Georgia on its path towards Euro-Atlantic integration". The opposition was less positive. UNM accused the government of attempts to "steal elections". "We will defend our votes", said UNM’s campaign chief Nika Melia, to protesters outside the CEC early on October 9. Nino Burjandaze, former president of Georgia and leader of the opposition Democratic Movement - United Georgia said her party "will not recognise these results" and "the elections were not free and fair". She also stated "we have evidence of electoral fraud in favour of Georgian Dream, such as, for example, multiple voting". That second round was held on 28 November 2018. With 59.52% of the votes Georgian Dream supported candidate, Salome Zurabishvili, won the presidential elections in a runoff against the United National Movement opposition candidate, Grigol Vashadze. The Central Election Commission confirmed the result and said that the turnout was 56%, which is 9% higher than in the first round. Zurabishvili became the first female president of Georgia. She is also the first president with a migration background, having been borne in France. International watchdogs who closely monitored the elections on the ground in Georgia have been predominantly positive about the way they were conducted. The OSCE has stated that overall, the elections was calm and voters had a free and genuine choice, though some violations of electoral laws have taken place. The European External Action Service (EEAS) has stated that it agrees with these conclusions. Other watchdogs, like the International Society for Fair Elections and Democracy (ISFED), the Georgian Young Lawyers Association (GYLA), the National Democratic Institute (NDI) and Transparency International (TI) have all noted that violations did take place, but that they have not significantly altered the elections or their outcome. All of these organizations noted the practice of several political parties trying to influence, or even bribe, voters, and have filed complaints against these misconducts. The Social Democrats for the Development of Georgia (SDD) is a political party initially established by a group of students and their professor in February 2010. It is considered to be centre-left and pro-European. Since 2013, it holds the status of a consultative party within the Socialist International. It wishes to strengthen social democratic ideas in Georgia across the political spectrum. The party itself does not have any seats in the current parliament, but it has seven members in parliament as part of one of the majority factions: Georgian Dream – Social Democrats. 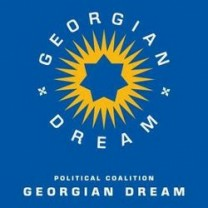 The Georgian Dream-Democratic Georgia (GDDG) party was established on 19 April 2012 through efforts of the billionaire businessman and politician Bidzina Ivanishvili. The party is the key party in a coalition called Georgian Dream which holds 66 seats of the 150 seats available in parliament. 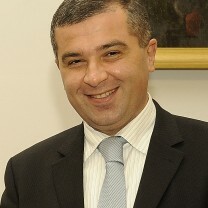 Currently Giorgi Kvirikashvili is the leader of the party. The party evolved from the public movement Georgian Dream, launched by Ivanishvili as a platform for his political activities in December 2011, soon after he announced that he would be entering politics. Since Ivanishvili was stripped of his Georgian passport – officially because of having other passports as well – lawyer Manana Kobakhidze was elected as an interim, nominal chairman of Georgian Dream-Democratic Georgia. In 2012 GDDG won the parliamentary elections, and Ivanishvili became the Prime Minister. However, he only stayed PM for one year, as initially promised, to get the changes going and then ‘retire’ from politics. Nevertheless, it is widely believed that he still has a huge amount of influence on the party and on Georgian politics. The United National Movement is the second biggest party of Georgia with 27 seats. The party is led by controversial former president Mikheil Saakashvili who is currently in exile and wanted by Georgian authorities. After he took on a job as governor of Odessa, a region in Ukraine, he took on the Ukrainian citizenship, leading to Georgian authorities revoking his Georgian citizenship. Prior to this he, won the 2004 presidential elections by a landslide and ruled the country until 2012. In the elections of 2012 the UNM lost its majority to the Georgian Dream coalition. The UNM came to power under Saakashvili’s leadership after the Rose Revolution in November 2003, ousting then President Eduard Shevarnadze. After the Rose Revolution, it united with the late former Prime Minister Zurab Zhvania’s United Democrats, the Republican party, supporters of Parliamentary Chairperson Nino Burjanadze and one part of supporters of ex-President Zviad Gamsakhurdia – the Union of National Forces in the National Movement – Democrats coalition. Four years later, the coalition was renamed to United National Movement – for Victorious Georgia. The Alliance of Patriots is a Christian party, founded in 2012 by leaders from the Resistance Movement; Soso Manjavidze, Davit Tarkhan-Mouravi and Irma Inashvili. Currently the latter two are the party’s leaders. This party is considered to be populist and pro-Russian, it also stays critical of the European Union. In the last elections the party was able to become the third biggest party with 5.01% of the votes, resulting in 6 seats in parliament. The first elections the party participated in were the 2014 local elections where it got 4.6% of the votes, helping it to qualify as a political party for government funding. Before the 2016 elections took place, the party formed a bloc with five other parties which might have helped it gain enough votes to get seats in the parliament. The party sees itself as more realistic when it comes to NATO membership and therefore announced that the talks have been going on for too long and that people in Georgia are discouraged about being rejected. According to their own website they aim to promote moderate conservative ideology, Georgian spirit, culture and traditions, as well as democratic values in society. Free Democrats (previously known as Our Georgia – Free Democrats (OGFD)) was founded in April 2009 by Irakli Alasania, Georgia’s former envoy to the United Nations. During the elections in 2012, it was part of the Georgian Dream alliance against the then ruling United National Movement (UNM). The party left the coalition when it fell apart in 2014. Although they were the fourth party in the parliamentary elections of 2016, they did not gain enough votes to get any seats in parliament. The party mainly focuses on fundamental rights for individuals. It supports a presidential republic with a strong parliament and an independent judicial system. FD supports a competitive, free market economy and the establishment of sustainable economic growth, poverty reduction, employment creation and social protection systems. 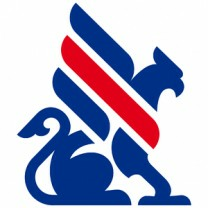 Democratic Movement – United Georgia is a centre-right party founded in 2008 by Nino Burjanadze who is also still the chair of the party. During the parliamentary elections of 2016, the party did not gain any seats with only 3.5% of the votes. The party always preferred to have closer ties with Russia, but also the European Union. Additionally, it wanted to expand the government’s initiatives for economic and social reform. With these statements the party was in opposition to the United National Movement, UNM, led by Mikheil Saakashvili, which was in power between 2003 and 2012. It also opposed the government led by Saakashvili because it accused it of being authoritarian. The Democratic Movement still opposes UNM and refuses to cooperate with the party. Mikheil Saakashvili was born on 21 December 1967 and is the (informal) current leader in exile of the United National Movement (UNM) party in Georgia. He is in exile because he is officially wanted in Georgia on charges related to a violent dispersal of protesters in 2007, under his presidency. He graduated from the Institute of International Relations in Ukraine in the department of International Law. Following this, he received a Master of Laws from Columbia law school in the US. He was specifically interested in Human rights and has worked as a human rights officer for the interim State Council of Georgia for a short time. He is mainly known for his fight against corruption and for more transparency. In 2000 he was appointed Minister of Justice. In this role, he initiated major reforms to the criminal justice and prison system which were applauded by international observers and human rights activists. Nevertheless, in 2001 he decided to resign from his position, accusing the government of being corrupt. In that same year he founded the UNM party. 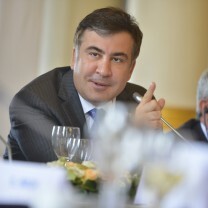 After the peaceful Rose Revolution of 2003, which he led, the UNM won the elections in 2004 and Saakashvili become the President of Georgia. During his presidency his main aim was to reduce corruption, gain EU and NATO membership for Georgia and to keep the relationship with Russia good. However, the relations with Russia deteriorated drastically after a brief war over the breakaway region of South Ossetia in August 2008. Saakashvili ruled until 2012, when his party was defeated in the parliamentary elections and he was no longer able to form a government. He left the country in 2013 and during the period following his defeat, he supported Ukraine’s movement to improve Ukrainian integration in the European Union. As Ukraine was going through major reforms following its 2014 Euromaidan revolution, it brought on different specialists that could help the country start its modernization. In relation to this, Saakashvili was appointed as the governor of Odessa, a region in Ukraine, in 2015. Due to this, he became a Ukrainian citizen and lost his Georgian citizenship, which meant that he is not allowed to be the formal leader of the UNM. He accuses the Georgian government of preventing him from running in the parliamentary elections of 2016 by taking away his Georgian citizenship. Eventually, he resigned from his job as a governor in Odessa in 2016, accusing the Ukrainian government of corruption. Since then he has also lost his Ukrainian citizenship, making him a stateless person. In February 2018 he was detained by the Ukrainian border police, which claimed he was entering the country illegally. The police deported him to Poland by plane and a court in Kiev rejected Georgia’s extradition request. A Georgian court has sentenced him in his absence to three years in prison because of misuse of presidential powers while he was serving his term. As of March 2018, he remains in the Netherlands, where he has a right of residence due to his Dutch wife. Grigol Vashadze, born on 19 July 1985 in Tbilisi, was the Presidential candidate of United National Movement (UNM) in the 2018 Presidential elections. From 1990 till 2018 Vashadze was mostly living in Moscow and New York, but he returned to Georgia in 2005. Vashadze held various diplomatic positions. He was staff member of the Soviet Ministry of Foreign Affairs and Minister of Foreign Affairs from 2008 till 2012 under Mikheil Saakashvili. Vashadze is with UNM leading an alliance consisting of ten conservative/liberal oppositions parties. Davit Bakradze, born 1 July 1972 in Tbilisi, was the candidate of Movement for Liberty - European Georgia in the Presidential elections, 2018. In a highly polarized political field, divided between the ruling Georgian Dream (GD) and the opposition United National Movement (UNM), he managed to come in third, with close to 11% of the votes. Bakradze was elected in 2004 to the Parliament of Georgia for United National Movement (UNM). 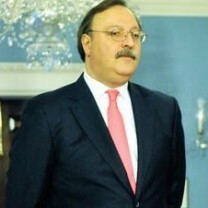 Before he entered the parliament Bakradze worked for the Ministry of Foreign Affairs of Georgia from 1997 to 2002 and for the National Security Council of Georgia from 2002 to 2004. In 2008 Bakradze became the Minister of Foreign Affairs and in the same year he was named to lead UNM during the parliamentary elections. In 2008 and 2012 Bakradze lead UNM in the parliamentary elections, which lost in 2012 to Georgian Dream. In 2013 Bakradze became the UNM’s candidate in the presidential election, but UNM lost the elections again to Georgian Dream. An internal disagreement within UNM caused a breakaway faction in the parliament and the party Movement for Liberty-European Georgia was established. The party is led by Bakradze. Bakradze participated for the second time in the presidential elections in 2018 and ended up third. In the second round of the election his party supported UNM’s candidate. ICG: Saakashvili’s Ajara success: Repeatable elsewhere in Georgia?